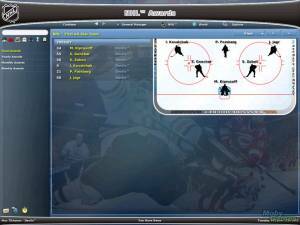 Eishockey Manager is a managerial simulator for a team in the German Hockey League. 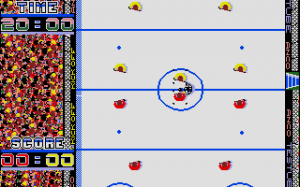 The game contains the real player and team names of that time. 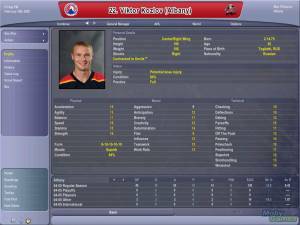 Eishockey Manager allows the player to handle most of the relevant aspects of a hockey team both economic and sport-wise. The user has to trade players, organize the training, handle the team's line-ups and tactics, negotiate contracts with players and sponsors, and expand the team's stadium. If the player has proven successful he gets the chance to manage the German national team competing in the world championships after the end of a season. 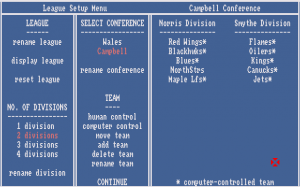 Your team's games can either be watched in a ticker-like text display only, or with animated, prerendered, goal-scenes. 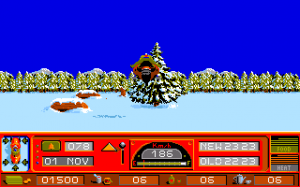 Up to four players can play simultaneously in hot-seat mode.